It was reported that a few flakes of snow fell today on the Delaware coast. After a very warm December, January is starting off with weather that is more seasonal. 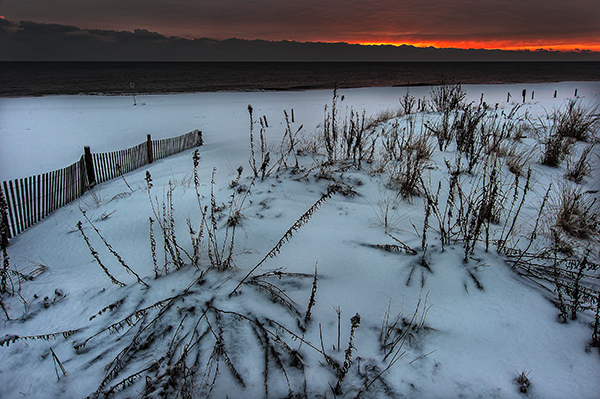 I reached back to a photograph from January, 2013 to remind us what winter at the beach can look like.